We’d love your help. 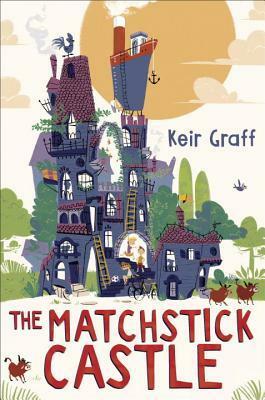 Let us know what’s wrong with this preview of The Matchstick Castle by Keir Graff. Boring lives up to its name until Brian and his cousin Nora have a fight, get lost, and discover a hu Brian can think of a few places he'd rather spend his summer than with his aunt and uncle in Boring, Illinois. Jail, for example. Or an earplug factory. Anything would be better than doing summer school on a computer while his scientist dad is stationed at the South Pole. Boring lives up to its name until Brian and his cousin Nora have a fight, get lost, and discover a huge, wooden house in the forest. With balconies, turrets, and windows seemingly stuck on at random, it looks ready to fall over in the next stiff breeze. To the madcap, eccentric family that lives inside, it's not just a home--it's a castle. To ask other readers questions about The Matchstick Castle, please sign up. This book looks really fun - but does it need to be 300 pages? Does it lag in the middle? Esther Van no, it does not lag, every page is filled with exciting things happening that make the book even better. Matt Maldre Ah, I found the illustrator. Eda Kaban. Yep, I'm going to say it: this is my favourite middle-grade audiobook this year. So much fun! I love books with weird or changing houses, and this one definitely fits the bill. If I would've read this as a kid I would have saved up my money to buy it. And even back then I was a tightwad frugal. Brian's father has an opportunity to work with a telescope at the South Pole, adn since his mother is dead, he ends up being shipped off to his Uncle Gary's in Boring, Illinois for the summer. THere, along with his cousin Nora, he is expected to Beta test his uncle's new educational software, Summer's Cool! This is even more boring than the town, but when Brian and Nora get a chance to investigate the woods behind the house (where they have been told NOT to go, of course), and find an enormous, dilapidated house. Inhabited by the van Dash family, including young Cosmo, the house has structural problems but is fascinating. It is also in danger of being torn down by the city, although the van Dash family has a bigger problem-- one of Cosmo's uncles is missing, probably trapped within the house itself. There are also crazed wild boars, giant killer wasps, and all manner of events that are far more intriguing than studying lessons on a computer. Brian and Nora get drawn in to the family's story and work with the uncle's to find a way to sabotage the city's demolition attempt and save the house. This was an interesting fantasy adventure that was reminiscent of classics like Mrs. Piggle-Wiggle and The Lion, the Witch and the Wardrobe as well as Snyder's Any Which Wall. Summer has become boring for many children, so reading books about children who get to have adventures might be the most exciting thing that happens! Any book that involves magical houses is one that I enjoy, and while this was a little light on magic, it was certainly an imposing edifice full of danger. As an adult, I was rather concerned about Brian's safety when he tried to get between upper floors of the house that were falling to bits, but young readers will find this to be an enthralling adventure full of pulse-pounding circumstances. The cover is a great one-- I wish that the interior of the book had a few pictures as well, but the prose descriptions paint a vivid portrait. This would make a fun movie, as the set would be as much a character as Brian or Nora. Hand this one to readers who like quirky adventure with odd and unusual characters. What a magical book! From start to finish, this unique adventure had the kids (8 and 10) and I enthralled. We loved the quirky cast of characters, especially in the context of Boring, IL and its unimaginative citizens. There was plenty at stake for both Brian and the van Dash family throughout the story, which kept us engaged and guessing, and we got so much satisfaction out of the outcome. The kids were biting their nails by the last few chapters, and literally cheered when they heard the endin What a magical book! From start to finish, this unique adventure had the kids (8 and 10) and I enthralled. We loved the quirky cast of characters, especially in the context of Boring, IL and its unimaginative citizens. There was plenty at stake for both Brian and the van Dash family throughout the story, which kept us engaged and guessing, and we got so much satisfaction out of the outcome. The kids were biting their nails by the last few chapters, and literally cheered when they heard the ending. I think that children in 3rd-5th grade would find this book very exciting and funny. I did! This book falls into the realistic fiction category but some of the characters' viewpoints and actions were over the top (in a good way). This review has been hidden because it contains spoilers. To view it, click here. We listened to this as an audiobook at my 10 yo's suggestion. It was kind of fun, I guess, but pointless. I kept hoping the author would introduce some sort of depth to the story, but I was disappointed. None of the characters grow or change in any way, and it's not for lack of opportunity! I kept having to stop the disc and point out the ridiculous decisions the characters were making, some of which were just plain bad choices - like two 12 year old kids getting into a car with people they bare We listened to this as an audiobook at my 10 yo's suggestion. It was kind of fun, I guess, but pointless. I kept hoping the author would introduce some sort of depth to the story, but I was disappointed. None of the characters grow or change in any way, and it's not for lack of opportunity! I kept having to stop the disc and point out the ridiculous decisions the characters were making, some of which were just plain bad choices - like two 12 year old kids getting into a car with people they barely know in the middle of the night to go break into a government building. This occurs without even so much as a second thought from the main character and has no repercussions within the story. The bad guy, when you finally meet him, is just bad to be bad and any reasonable justification the author might have thrown in there to make him multi dimensional gets thrown out the window when he goes crazy and tries to mow down a house full of people with a bulldozer. I think the author was probably going for a fun middle-grade adventure story, but I just wound up irritated and bored. 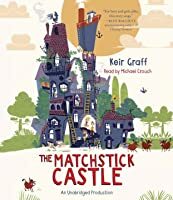 The Matchstick Castle is a middle grade adventure that reminded me a bit of Alice in Wonderland because of the ridiculous things that were going on in it (more on that later), and while I really thought the theme would make me fall in love with the book, I had a few problems really getting into it. While The Matchstick Castle was definitely a fun middle grade read, I did have a bit of Check out this and other reviews on my young adult book blog, Here's to Happy Endings! The Matchstick Castle is a middle grade adventure that reminded me a bit of Alice in Wonderland because of the ridiculous things that were going on in it (more on that later), and while I really thought the theme would make me fall in love with the book, I had a few problems really getting into it. While The Matchstick Castle was definitely a fun middle grade read, I did have a bit of a difficult time connecting to the book's characters. "It was going to be epic: the all-time, best summer ever. Instead, I ended up in Boring, Illinois. No, I'm not kidding. There's a town called Boring. And it is." While there might be a town called Boring in the book, The Matchstick Castle was anything but boring. There was something neat going on in every chapter throughout the entire book, keeping you engrossed in the story and eager to find out what happens next. Brian's father is going to spend the summer in the South Pole, where he is being sent to make nifty scientific discoveries. Brian is all for it - after all, his dad is really involved in his job and loves what he does, plus Brian figures he will be able to stay with a friend or someone close and have the chance to have a fantastic and adventure filled summer. But when Brian's father drops the bombshell that Brian will be staying with his Uncle Gary in a town called Boring, Illinois, Brian is devastated. He doesn't really know his aunt and uncle that well, and the last time that he spent with his cousin Nora didn't go very well, so he isn't sure what his summer is going to entail. Turns out, his uncle Gary has created a software program called "Summer's Cool," in which Brian and Nora will spend their summer vacation waking up early and spending their day similarly to a regular school day, only in front of their computers learning. Talk about boring. So when Brian goes into the woods and has an interesting encounter with a wild boar, the first thing his cousin and uncle tell him is never to go into the woods. The woods, they say, are off limits. When Nora and Brian have a fight one day, they run into the woods anyway, and discover a huge house, with mixed up construction and a weird design, as well as a boat on the roof. Yes. A boat. Seven stories up. When they knock, no one answers, so they make their way inside, only to be met by a young boy who is their age. This boy, Cosmo, is thrilled to see them, and immediately enlists their help to remove a bunch of huge, exotic wasps from the house. When Brian and Nora help Cosmo with the task, and meet some other members of Cosmo's family, they realize that they enjoy being around them, and find ways to go back into the woods, despite their uncle grounding them. However, when Brian opens a piece of a mail that he accidentally picks up from Cosmo's house, he learns that the town plans to demolish the Matchstick Castle, and so he tries to help the best that he can, including sneaking out in the middle of the night so that his uncle and aunt do not notice that he and Nora have left. The Matchstick Castle is full of ridiculous banter, funny jokes, and is a perfect summer read for middle graders (or anyone, really). For some reason, even though this book made me laugh and I liked the story, I found myself having a hard time connecting to any of the characters within. They weren't poorly written, and they had substance instead of just being flat, but some of the members of Cosmo's family - his uncles, for example - just kind of all blended together to me, and I couldn't tell them apart. This wasn't a problem, as the author always provided reference as to whom was speaking, but I guess I just wish that their personalities were a bit different from one another. Also, Uncle Gary and Aunt Jenny were just annoying, and I kind of thought they were boring. Also, they were just oblivious and kind of downright mean sometimes. Aside from having a difficult time caring about many of the characters in this book, I did really enjoy my time spent within the Matchstick Castle. It was really interesting (and quite amazing) to see how the author put so many things together to create this amazing, fantastical house. The Matchstick Castle is a lot different than a lot of other middle grade novels that I have read lately, as most of them have been highly emotional or dealing with social and family issues, while this book was more on the lighter side of things. So if you're looking for a quick pick me up after reading a few heavier titles, I can see this working out well for you! Not my favorite - the plot was all in service of the concept of this cool house. Would have been a better short story, where things like no motive or reason for Uncle Gary to be such a miserable sod can go without explanation. So many crazy adventures! Kids will enjoy the story. Listened to audiobook - satisfying family listen. What's the worst fate that can befall you as you get ready to enter middle school? Find out that you will be spending the summer with your uncle and his family in the town of Boring, Illinois. And it lives up the name. Poor Brian is sent to stay with his Uncle Gary, Aunt Jenny, and his cousin Nora while his father is off to Antarctica. It's bad enough that he will be away from home, his brothers, his friends, and the soccer tournament he was training for, but Uncle Gary designs educational softw What's the worst fate that can befall you as you get ready to enter middle school? Find out that you will be spending the summer with your uncle and his family in the town of Boring, Illinois. And it lives up the name. Poor Brian is sent to stay with his Uncle Gary, Aunt Jenny, and his cousin Nora while his father is off to Antarctica. It's bad enough that he will be away from home, his brothers, his friends, and the soccer tournament he was training for, but Uncle Gary designs educational software and makes Nora and Brian act as his test subjects. School every day of the summer! Just when things seem really bleak, Brian and Nora accidentally discover the Matchstick Castle and the van Dash family who live in it. Suddenly they have more adventure than they could ever expect. The house sits on old mining tunnels and caves. The house itself is filled with hidden doorways and strange hallways. There is a ship on the roof (in case of flood), a submarine in the tunnels, and a larger than life family who are all famous explorers, adventurers, writers, etc. When a local city planner has the house condemned and schedules it for demolition, it is time to fight back and defend the castle. This story is fun in many different ways. There are the wacky characters of the van Dash family who are always digging for lost gold, working on a new novel, trying to domesticate wild boars, and other unusual activities. Brian's despair over being stuck at a computer screen studying all summer is humorous, since we are not the ones trapped in that room listening to the animated Dara and Darrell and their annoying computer-generated voices. And the house itself, the Matchstick Castle, is so full of carrier pigeons, doors that lead nowhere, fire poles, and hammocks that it seems to have been designed by the architects of the The 13-Storey Treehouse. Great for fans of the Treehouse books (by Andy Griffiths) and similar tales. Highly recommended for middle grade readers who enjoy humorous stories. Full disclosure - Keir is my editor at Booklist. Matchstick Castle is a fun romp with a wonderful classic feel to it. Brian's voice is terrific and I think will really appeal to kids. The eccentric Van Dash family was a delight as was the ramshackle castle full of surprises set against suburban Boring Illinois. There are lots of fun details and touches that make this a completely engaging read. Uncle Gary and his "Summer's Cool" online summer school made a wonderful foil for beckoning forbidden Full disclosure - Keir is my editor at Booklist. Matchstick Castle is a fun romp with a wonderful classic feel to it. Brian's voice is terrific and I think will really appeal to kids. The eccentric Van Dash family was a delight as was the ramshackle castle full of surprises set against suburban Boring Illinois. There are lots of fun details and touches that make this a completely engaging read. Uncle Gary and his "Summer's Cool" online summer school made a wonderful foil for beckoning forbidden adventures at the castle. Although perhaps it was a bit TOO real in this current educational climate ;-) There's plenty of comic action too including one of my favorite scenes where they break into City Hall. I've got my fingers crossed that Keir takes readers back for another visit to the castle. If you let Pippi Longstocking drive Chitty Chitty Bang Bang to Daniel Pinkwater's house to meet with like-minded Anti-Bureaucrats on the injustice of static education you might just get "a wonderful book about three daring young people who rescue grown-ups from frightening situations." Recommended as a family read-aloud. Perfect for the reader who has graduated from Mrs. Piggle Wiggle and is headed toward The Mysterious Benedict Society. Quote from page 162 of the ARC. A whimsical adventure with a large dose of humor? Yes, please! This story spoke to my inner child, who suffered too many boring summer vacations and longed to discover something magical and exciting in my own backyard. Brian is thinking he just might be in danger of dying of boredom in Boring, Illinois this summer. His dad finally got cleared to go to Antarctica to use the telescope, so Brian finds all his summer plans ruined. He's now stuck with his boring Aunt & Uncle and cousin Nora in Boring, Illinois. His Uncle is making Brian and Nora test his School's Fun summer school online program. There's no one to play soccer with, and Nora's idea of fun during free time is to write in her notebook. Things star Brian is thinking he just might be in danger of dying of boredom in Boring, Illinois this summer. His dad finally got cleared to go to Antarctica to use the telescope, so Brian finds all his summer plans ruined. He's now stuck with his boring Aunt & Uncle and cousin Nora in Boring, Illinois. His Uncle is making Brian and Nora test his School's Fun summer school online program. There's no one to play soccer with, and Nora's idea of fun during free time is to write in her notebook. Things start to look a bit more exciting when Brian chases his soccer ball into the woods and discovers a very strange house harboring a most unusual family next door, and it just might be up to Brian and Nora to save them from destruction. What kid doesn't dream of wandering into the woods and finding a weird and wonderful house to explore? I would've LOVED this story as a child; it feeds all my wished for adventure fantasies. The wild house full of unexpected building patterns and adventures and an eccentric family is like a mashup of Castle Glower and Mrs Piggle-Wiggle's upside down house, with a family of Pippi Longstocking plus the Potts family in the movie version of Chitty Chitty Bang Bang. There's a bit of hyperbole going on which may go over the heads of some middle grade readers and may turn off other readers (just don't take things too seriously). But the adventures through a wacky house to do things like find a missing uncle or defend the castle from demolition should appeal to the vast majority and would make a great middle grade read aloud. It’s the summer before 6th grade and Brian is forced to spend it in Boring, Illinois. His father has gone to the South Pole to do research, so Brian gets to live with his Uncle Gary, Aunt Jenny and cousin Nora. Being apart from his father is bad enough, but things get worse when Brian realizes that his uncle expects him to spend his summer going to school online. In an attempt to get away from the stifling environment inside his uncle’s house, Brian heads into the woods one day and discovers Cos It’s the summer before 6th grade and Brian is forced to spend it in Boring, Illinois. His father has gone to the South Pole to do research, so Brian gets to live with his Uncle Gary, Aunt Jenny and cousin Nora. Being apart from his father is bad enough, but things get worse when Brian realizes that his uncle expects him to spend his summer going to school online. In an attempt to get away from the stifling environment inside his uncle’s house, Brian heads into the woods one day and discovers Cosmo van Dash and his extended family complete with five whacky, creative, absent minded and brilliant renaissance brothers Kingsley, Montague, Roald, Ivar and his father Dashiell. When Brian realizes that the van Dash’s fantastic home is going to be demolished by the city, he and Nora do what they can to help the family keep it from happening. I went to the library in search of another book, and when it was not available, I stumbled across this one. I'm delighted that I picked it up! I took it with me on a trip to visit my nieces (4 and 2) and they loved listening to me read it in the car while we were headed to and from places. They even asked if I would "read the story with no pictures" while we were at home. - Nora looked at the book the way a lot of grown-ups look at their phones: as if they're hypnotized and helpless to resi I went to the library in search of another book, and when it was not available, I stumbled across this one. I'm delighted that I picked it up! Are well known kids authors, the sort who write blurbs for other people's books, unaware of any books published when THEY were kids, or even before that? This book is mildly entertaining, but easily interchangeable with a zillion other such. Boy/Girl goes reluctantly to visit family members and is having a miserable time, boy/girl finds wacky secret place to have adventures, boy triumphs, and perhaps makes friends with a cousin whom is more likeable than he/she thought. The end. It's been Are well known kids authors, the sort who write blurbs for other people's books, unaware of any books published when THEY were kids, or even before that? It's been done. This version has nothing really new or exciting. You can swap it from some other such book no longer being read because it is no longer brand new and doesn't have contemporary authors plugging it. 3.5 stars actually and maybe 4...my major beef is the stodgy boring-ness of Brian's Uncle and Aunt. They were so awfully boring and inflexible. Then, I met the neighbors and, perhaps - probably, the stodginess is necessary to play off the neighbors' personalities. Adventurers, unite! The neighbors will lose their home and their property if Brian and his boring cousin, Nora, don't do something. The neighbors, firmly entrenched in the technology of the first two-thirds of the 20th century, are inep 3.5 stars actually and maybe 4...my major beef is the stodgy boring-ness of Brian's Uncle and Aunt. They were so awfully boring and inflexible. Then, I met the neighbors and, perhaps - probably, the stodginess is necessary to play off the neighbors' personalities. Adventurers, unite! The neighbors will lose their home and their property if Brian and his boring cousin, Nora, don't do something. The neighbors, firmly entrenched in the technology of the first two-thirds of the 20th century, are inept at fighting their own battles. Their attempts are tons of fun, though. I found this to be a very fun adventure book. A bit of wish fulfillment, a bit of mayhem, and a manic pixie boy to boot. Bryan had a great summer planned - soccer and sleeping in. Then, his dad got a once in a lifetime opportunity and Bryan was shipped off to spend the summer with his aunt, uncle, and cousin in Boring, Illinois, (one of the few places that actually lives up to it’s name) beta testing his uncle’s Summer’s Cool learning software. It’s looking like the worst summer ever, But that is before he gets lost in the forbidden woods and meets the eccentric van Dash family. The Matchstick Castle is an over the Bryan had a great summer planned - soccer and sleeping in. Then, his dad got a once in a lifetime opportunity and Bryan was shipped off to spend the summer with his aunt, uncle, and cousin in Boring, Illinois, (one of the few places that actually lives up to it’s name) beta testing his uncle’s Summer’s Cool learning software. It’s looking like the worst summer ever, But that is before he gets lost in the forbidden woods and meets the eccentric van Dash family. The Matchstick Castle is an over the top adventure full of quirky characters that any kid who’s ever faced a boring summer will love. Meh--not super original and completely over the top, but the 3 kids in my life who were around while it was playing in the kitchen all got a good laugh or two out of it so 3 stars it is! What I really didn't like was that the two kids were sneaking off to a house in the woods that they were expressly forbidden to go into by the parents. Hey kids--ignoring your parents and going into a dilapidated old house full of random, weird, (and very eccentric) older men is not a super great idea. I'm talki Meh--not super original and completely over the top, but the 3 kids in my life who were around while it was playing in the kitchen all got a good laugh or two out of it so 3 stars it is! Who wouldn't rather spend their summer with Cosmo's eccentric family in their dangerously unusual house, rather than in Boring, Illinois, with their boring aunt and their more-than-boring uncle's "Summer's Cool" summer schooling program? I certainly would-- as long as I had a choice to sleep elsewhere, with a slightly firmer floor. In the grand tradition of Pippi Longstocking and other eccentric storylines, the children experience oddball stories that turn out to be true and perform death-defying Who wouldn't rather spend their summer with Cosmo's eccentric family in their dangerously unusual house, rather than in Boring, Illinois, with their boring aunt and their more-than-boring uncle's "Summer's Cool" summer schooling program? I certainly would-- as long as I had a choice to sleep elsewhere, with a slightly firmer floor. Keir Graff is the author of One Nation, Under God, My Fellow Americans, and, writing as Michael McCulloch, Cold Lessons. His short stories have appeared in a wide variety of publications. He lives in Chicago."